The Automotive Aftermarket Parts industry is a secondary industry to vehicles; once they are sold by the Original Equipment Manufacturer (OEM), vehicles will require replacement consumables, servicing items and replacements for failed or damaged components throughout their life. Aftermarket parts include those produced by the OEM and those produced by manufacturers who supply to OEM. Products such as tires and engine oil are not usually produced by the vehicle manufacturer themselves: these are more specialist parts. With these practices, the aftermarket parts industry is totally reliant on trends in the primary automotive industry. For example, low sales of new vehicles will have a negative effect on the aftermarket industry due to there being fewer vehicles requiring replacement parts. Drivers are increasingly looking to accessorize by retrofitting their vehicles with electronic devices such as GPS and dashcams. All parts on a vehicle have a service life; consumables such as brakes and tires will need replacement as they wear, while transmission and engine parts will need replacing as the vehicle ages. Owners like to keep their vehicles looking as new as possible and protect them from deterioration, which has led to an increased demand for better waxes, washes, polishes and protection products. Vehicles will need fluids such as engine oil, coolant, transmission fluid and brake fluid routinely throughout their life. There is also demand for performance additives and fuel stabilizers. Alternators, generators and electrical components become less reliable as vehicles age; these will need to be replaced with time. While bodywork, bumpers and structural parts routinely last the useful life of the vehicle, they may need replacement due to accident damage. Many manufacturers also supply bodywork kits, enabling owners to customize their vehicles. In 2010 the average age of a car was 10.9 years; in 2014 this had risen to 11.6. With cars lasting longer than ever, this trend will also increase the demand for replacement parts. The increased density of traffic on the road has led to an increased risk of accidents, resulting in increased demand for replacement bodywork and structural parts. Emerging markets have had a secondary effect on aftermarket parts wholesale. With demand rising in new areas of the globe, parts need to be distributed to new locations. The increase in second-hand grey and parallel imports across different countries has been a driver of increased demand for spares. The demand for ecologically friendly vehicles has driven demand for aftermarket parts such as catalytic converters and electronic chips to improve fuel consumption on older vehicles. Owners increasingly want new features to modify their older vehicles. Owners still want performance, but stricter testing regulations mean that powertrain and fuel efficiencies must reach new standards. 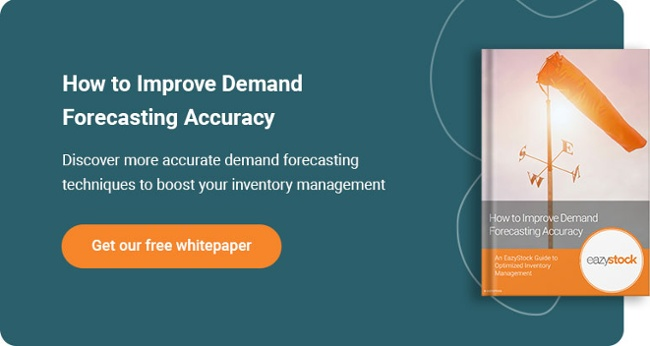 The ability to forecast demand is imperative. Distributors can get ahead of the curve by researching new technologies and trends towards “eco-friendly” products as well as products geared towards preventative maintenance. Having created popular product lines, distributors should ensure these are always available. Forecasting also includes seasonality for distributors. For example, living in an area that sees a lot of snow means that customers could be more interested in snow tires for certain vehicles as winter hits or even for certain waxes after their cars are exposed to all the salt on the roads from the winter. Demand for automotive heating and A/C maintenance and repair also fluctuates as temperatures change. Rather than being reliant on revenue from a changing customer base, better products that require less frequent replacement coupled with fast and efficient service will help to build a solid base of new and returning customers.